Tooele, Utah – Making his first ever Pirelli GT3 Cup Trophy USA start, young McKay Snow made a big impression on Saturday as he took a flag to flag victory at Utah Motorsports Campus in the No. 66 TruSpeed Autosport/Porsche GT3 Cup machine. 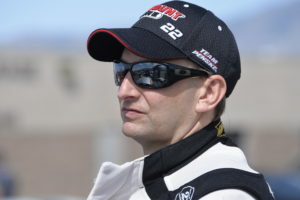 It was a mix of youth and experience leading the 34-car field as young Max Root (No. 07 GT Technik/Porsche 911 GT3 Cup) returned to the podium with his run to second place, while former series champion Loren Beggs (No. 08 911 Design/Porsche GT3 Cup) solidified his 2017 championship leading status with a run to third. 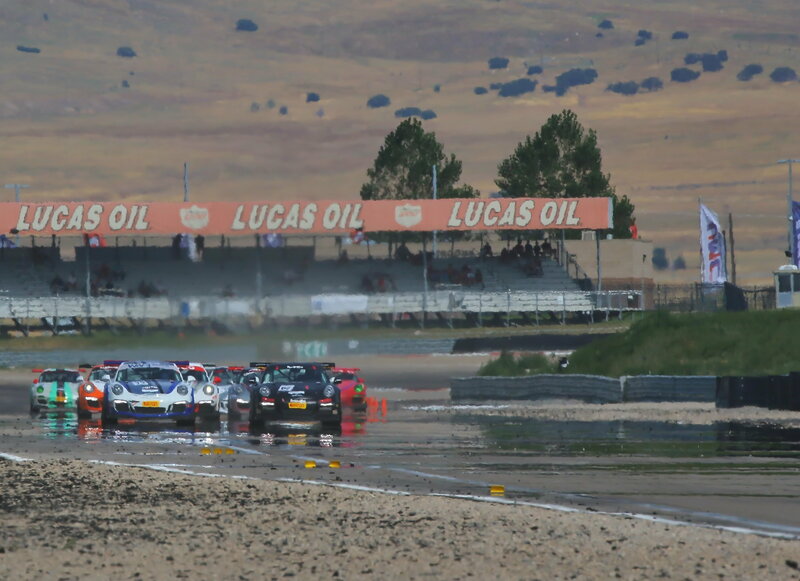 The young Snow, who calls Utah home and has a lot of experience on the 3.048-mile circuit, took the lead at the start and never looked back, growing his advantage all the way to the checkered flag. 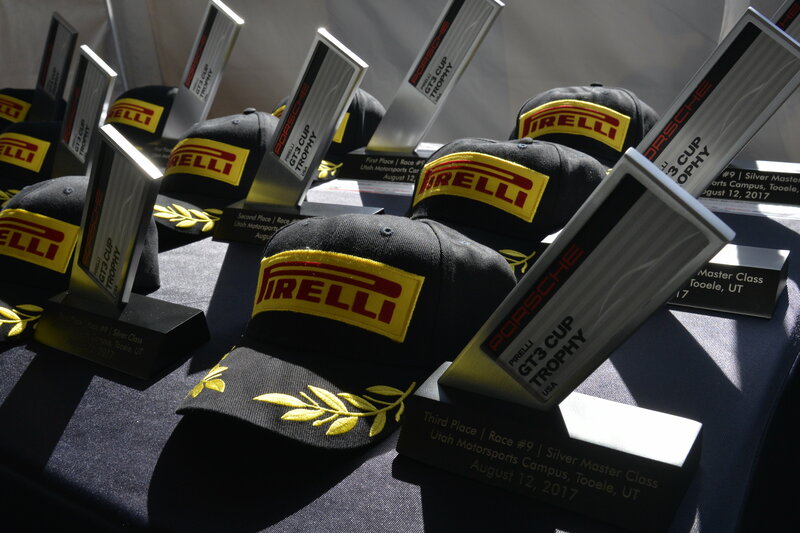 The podium celebrations saw incoming Porsche North America President Dr. Daniel Armbruster participate in the trophy awards as he prepares to take on his new role following the successful tenure of Jens Walther. Taking the Diamond Masters win was Michael Zuieback (No. 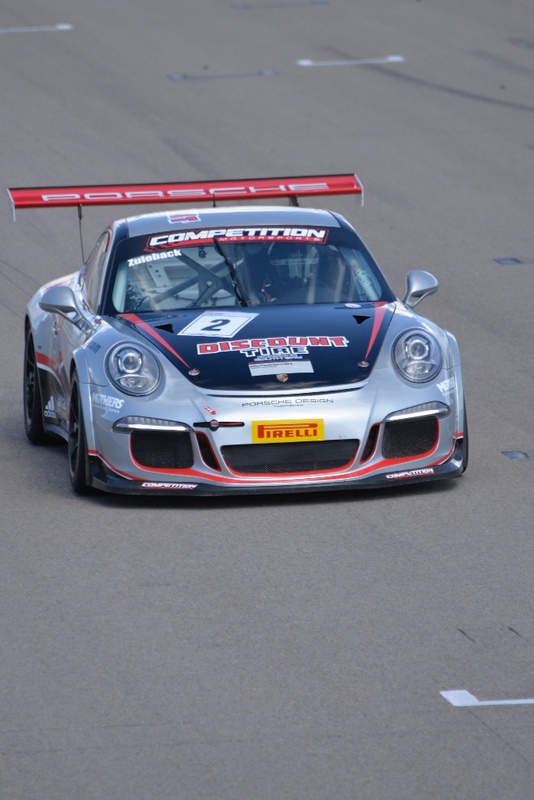 2 Competition Motorsports/Discount Tire Porsche 911 GT3), who had to play a patient game through the duration of the race to emerge with the victory over Preston Calvert, who was making his first ever start in the growing series. It turned out to be a big day of racing for Discount Tire, as Sam Hornish won the NASCAR Xfinity race at Mid-Ohio aboard his Discount Tire-sponsored machine. Taking the Platinum victory was Ray Shahi (No. 65 Porsche/TruSpeed Autosport) to add to his sterling record of wins this season after winning the first seven races of the year. 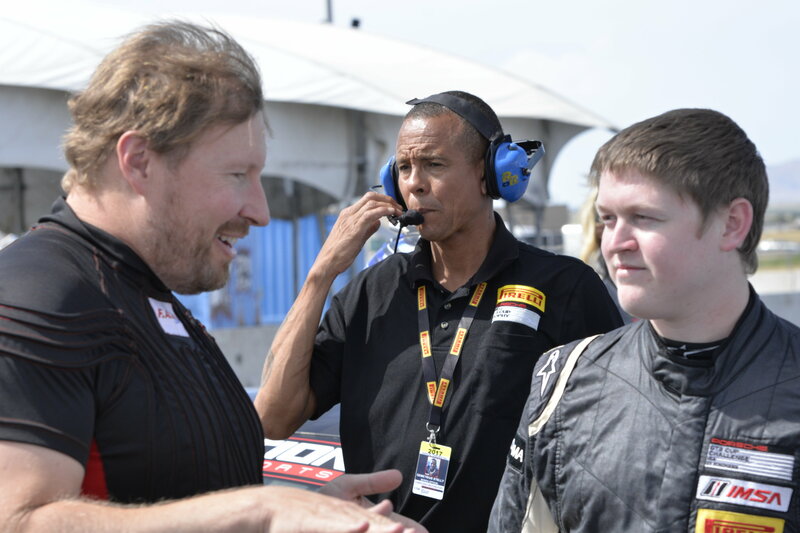 After being bested in the eighth race by his TruSpeed Autosport teammate Larry Schnur, Shahi was pleased to return to the best seat in the house atop the podium. Schnur took second on Saturday ahead of David Lockwood in his No. 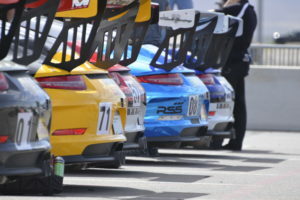 42 Air Power Racing/Porsche 911 GT3 Cup. The continued Silver class battle between Sean McAlister (No. 00 Competition Motorsports/Porsche Cayman GT4) and Jeff Kearl (No. 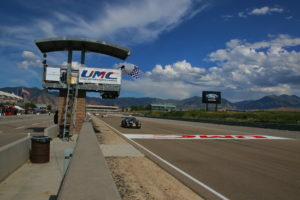 26 Rearden Racing/Porsche Cayman GT4) saw Kearl emerge with the victory over McAlister to add another chapter to the duo’s season-long tussle for the top. The Silver Masters podium saw Steve Goldman (No. 1 Competition Motorsports/Porsche Cayman GT4) add to his trophy case with a victory over Carl Tofflemire (No. 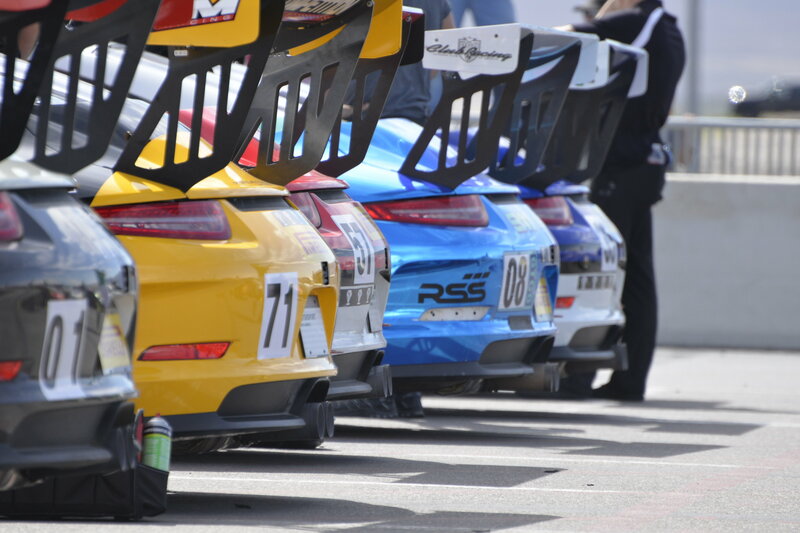 62 Competition Motorsports/Porsche Cayman GT4) and Martin Brauns (No. 59 Flying Lizard/Porsche Cayman GT4). This entry was posted in News on August 12, 2017 by admin.